Die Charge: NO DIE CHARGE! PMS Color Matching: PMS colors can be matched - no extra charge. Plating: Your choice of gold, nickel, black or copper. Pricing: Pricing includes up to four colors and military (butterfly) clutch. 4 weeks after art approval. Rush Service: Available - call for quote and availability. Larger Sizes - Call for quote. as pricing can fluctuate up or down. 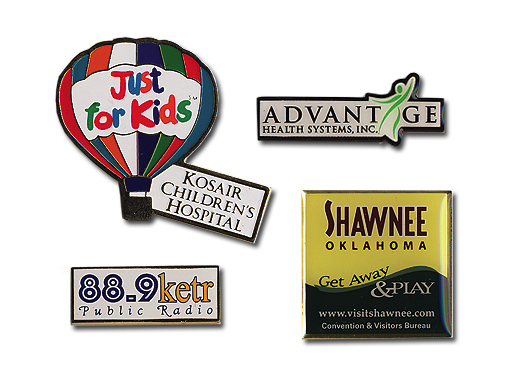 Silk screen is used when your artwork requires more detail than the other types of lapel pins can achieve. No metal divider lines are necessary. 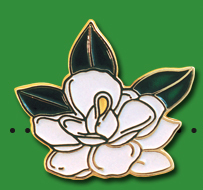 Parts of lapel pins can also be silk screened. For example, a cloisonne, color poly, or acid etch pin is produced and additional copy is added by silk screening. An epoxy dome is optional.